Lincoln Aviator has made its first appearance back in 2003, but since the sales haven’t passed as expected, the carmaker has discontinued the production of this model in 2006. However, the manufacturer has decided to bring back its mid-size luxury SUV which should go on sale as the 2019 model year. 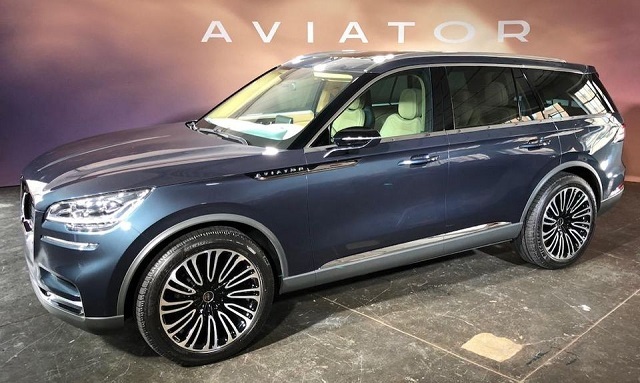 The upcoming 2019 Lincoln Aviator has been previewed at the 2018 New York International Auto Show and will represent the second generation model. The new Aviator will stand between the Nautilus and the Navigator models. The automaker still hasn’t revealed the details about the various trim levels. But the model which has been presented at the New York Auto Show, is the range-topping, the Black Label variant. The exterior design will be inspired by the airplanes and will look clean, elegant and very handsome. The previewed model has been presented in the Flight Blue shade. Inside, the three-row Aviator will offer the seating for seven people and premium materials. Of course, the equipment will be on the high level also. On the engine front, the new Lincoln will be powered by a twin-turbo engine and will offer a plug-in hybrid variant for the first time. The main competitors of the upcoming Aviator will include Volvo XC90 and Audi Q7. 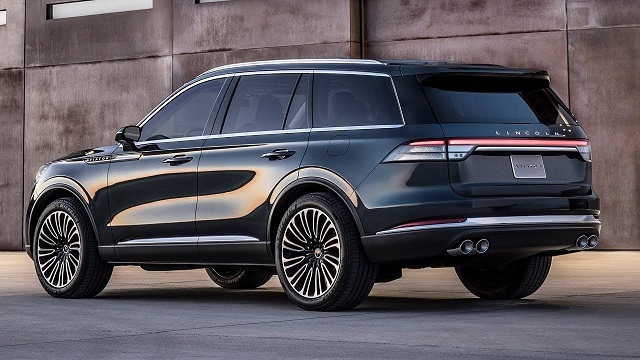 Although it is not yet revealed officially, the 2019 Lincoln Aviator will be equipped with a twin-turbo engine. 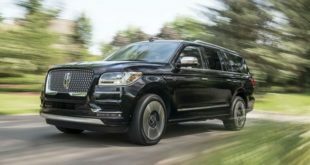 We still don’t have specific details, but according to some rumors, it could be the same V-6 unit which powers the Lincoln Navigator and has the output of up to 450 horses. As well, it might also get the same 10-speed transmission. Furthermore, the new Aviator should get its first plug-in hybrid engine which is expected to make up to 350 horses and should be able to hit 60 mpg in around 7 seconds. 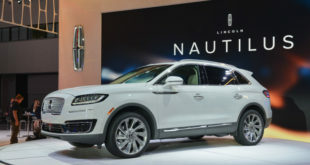 The 2019 Lincoln Aviator will feature a clean, elegant and attractive external appearance and will get some similar styling cues from the latest Navigator model. The front end wears a large grille with three-dimensional shape and chrome accents and a pair of nicely-looking headlamps. The rear section is also nicely designed with horizontal and simple lines. It rides on 22-inch wheels and the previewed model is painted in beautiful Flight Blue shade. Furthermore, the Aviator will be underpinned by the rear-wheel drive architecture which is also used by the Ford Explorer. The cabin of the 2019 Lincoln Aviator will feature a three-row seating configuration; it will be able to welcome up to seven passengers. 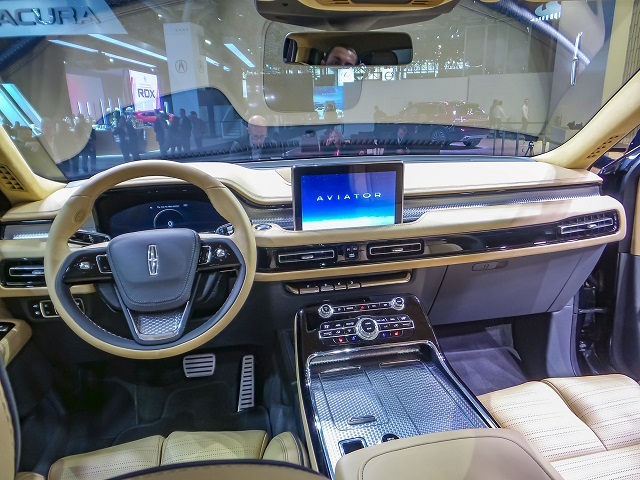 The horizontal lines will also dominate the dashboard which will be equipped with a large 12-inch display with infotainment system. All over the cabin, we will notice nice aluminum, leather, and brushed metal details. The seats will be covered in soft leather as well. Furthermore, there will be a host of modern features such as wireless phone charging, Wi-Fi, Co-Pilot 360 suite of drive assists which includes blind spot monitoring, automatic high beams, a rearview camera, rear cross-traffic, and so on. 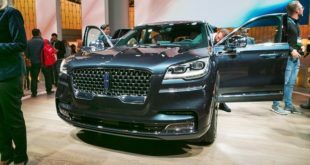 The 2019 Lincoln Aviator should go on sale next year. We assume that it should cost around $55,000.